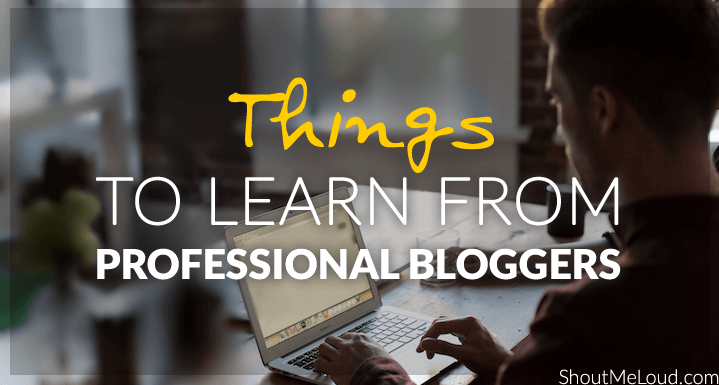 What You can Learn from Professional Bloggers? These days people who are opting for Professional blogging as a career option is increasing, obviously the numbers are very less for now, but in coming years, Blogging might come out as a lucrative career option. Here I’m pointing out some of the things which any newbie blogger can learn from Professional bloggers. Professional bloggers, work day and night to learn and implement new techniques and keeping and eye on their changes and monitor how it works out for them, might give a new edge to your budding blog. 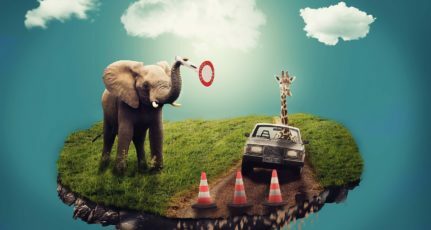 By reading the articles of a Professional Blogger, you will learn that they prefer quality over quantity.If they want to convey a message through an article, they do so by including all the points they wanted to, even if the article ended by 100 words, they do not try to add some other irrelevant points just to increase the size of the article. They put across their point without thinking about the number of words they need to write. This increases the “quality density” of the article. You do not want to have an article that started off brilliantly and then went down the drain regarding quality towards the end. This will have a negative impact on the reader. It is better to have a quality post of 100 words rather than a vague post of 500 words.So you learn the “Quality” way of writing. Analyze, how much information they are adding on any topic. Are you doing the same? Are you not linking to relevant source ad useful information? Pillar Articles: How to create one? A Professional Blogger develops a routine and a rhythm of writing articles, so should you. This does not mean that you should post an article exactly at 7:00 PM each and every day, nor does it mean that you post an article just for the sake meeting the “magic number of posts” for the day. This means that you post regularly, at the least a couple of great articles a week. This also helps your readers to expect when you are going to post your next article. The worst thing a Blogger can do is to post three articles one day, then forget about the blog for a week or two and then post five articles after that on the same day. Consistency also means you keep to the niche of the Blog, the niche you are comfortable with and know a lot about. You would not like to see Perez Hilton writing a review about the SEO software; you rather see him write about Celebrity Gossip, at which he is great at. This is how you can learn about consistency from a Professional Blogger. One thing, which you can learn from ShoutMeloud recent changes is, you will realize post frequency has gone down by a tremendous amount but the quality has increased a lot. Take away: Quality is the key and then Post frequency for better engagement. By seeing the tweets, the Facebook Updates Etc, you can learn a lot about a Professional Blogger. If you follow any professional blogger on a social network, you can clearly see that they read up a lot about topics in their niche and also about topics they love. What this tells you is that, if a professional blogger who knows quite a lot about his niche is still learning and more importantly willing to learn about the niche. So I advise to read a lot about your niche, by which you get a lot more information about the niche, you will grow your knowledge about the topics, you will get more experienced with the way others in your niche write. I follow Darren Rowse and Amit Agarwal on Twitter, and I keep an eye on their tweets, I can safely say that I know something about these bloggers like Darren is very fond of sharing some special experiences he had with his family on Twitter. While Amit Agarwal is very passionate about the technological development and news related to India.You can learn a lot from Social Networks. Never self-promote too much, try avoiding auto sharing and concentrate more on manual sharing with your input. Share great articles from your niche on your social media profile; this will add more into engagement and help to establish yourself as an expert in that niche. If you have seen any interviews with professional bloggers or read articles by them about tips for new bloggers, you will learn that patience and persistence are the key to becoming a professional blogger. I have heard many times from people like Darren, Amit and Harsh Agarwal from ShoutMeLoud that they did not see much fruitful success in the first six months to a year, but they still persevered and looked at them today, Professional Bloggers. Keep consistently putting forward Quality content and you will gain your audience because people admire hard work and quality work. Moreover, reading Blogger’s interview will help to learn about common mistakes and hurdles they have faced over the time and how they tackled it. Always remember, best of suggestion comes from personal experiences. I will bet you my house that, if you ask professional bloggers, whether they would like to work as something else, they will say no. The reason for this is they enjoy blogging; they love it. This is most important for any blogger or any other professional, loving what you do makes you happy. Now which other professions can boast that most people who do that profession do not want to do something else? If you love to blog, it will seem like your on a vacation even if you are blogging 8 or 10 hours a day. Every Professional Blogger has their style of writing, style of designing their blogs, style of audience they attract, but the one thing common to all the Professional Bloggers is that they love to blog. If your target is to make money and establish yourself as a prominent blogger, work on one blog for just making it social and obviously sharing useful information in wide aspect with community building. Along with it, work on micro niche sites to boom your online income. Depending upon your niche, you can follow top bloggers and brand in your niche. For example, if you like to know about Blogging and SEO stuff, you should be following Darren Rowse, John Chow, Amit Agrawal, Harsh Agrawal and much more. This is just a small list of pro-bloggers around me; you can find a list of such awesome people on the internet easily. I would love to know one tip which you have learned from any pro-blogger. If you are into Pro-blogging, why not share one golden tip to other newbie bloggers? Nice post Gautham.By Learning form professionals, we can also avoid mistakes that they made in the beginning of their blogging journey. Studying their behavior on social networks is definitely a peek into how they are and how they think. Nice post Gautham. as mentioned by you, the most important quality of a professional blogger is the sense of fulfillment that they get while writing in their niche topic. So it is really important to have a genuine interest and knowledge about the topic we are writing in. Blogging just for making money wouldn’t work no matter how hard we try. As someone has rightly said that if you enjoy your work, you won’t have to really work at all. Great points indeed but observing and drawing inferences from behavioral patterns of pro bloggers is quite a task in self. And newbies’ simply may not know where to start. Also, you might want to rethink SEO Moz and John Chow in that list. It is true that you can always learn a lot from professional bloggers, like I do learn from Harsh Agarwal, Amit Agarwal, Neil Patel etc..